Stay warm when running in colder conditions with this Long Sleeve Merino Base Layer. The AT/C MERINO LS is a next-to-skin, long sleeve base layer that wicks moisture away from the torso, while also retaining body warmth on cold days. Merino wool delivers the ultimate in comfort. Made from superfine 18.5 micron, ethically non mulesed Australian Merino wool. 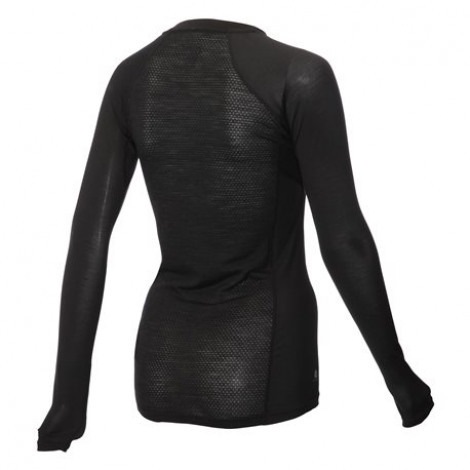 Superfine 18.5 micron Australian Merino wool delivers fantastic next-to-skin feel and fit. Natural moisture management.